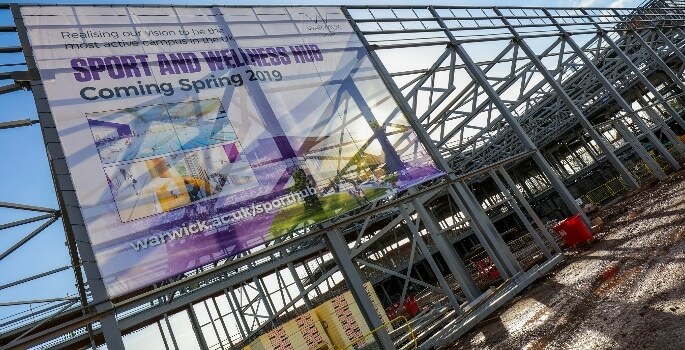 Due to complete in March 2019, University of Warwick’s new Sports Hub will create “one of the best” sports facilities at a UK university, including the UK’s largest gym facility in the HE sector. The move aligns with its ambition to be the “most physically active campus community in the UK by 2020”. Once complete, the Hub will be available to all students, staff and the general public. Replacing the current sports centre on the campus, the Hub will feature a sports hall, swimming pool, fitness suites, climbing and bouldering walls, and flexible studio spaces, as well as squash courts, outdoor 3G sports pitches and netball courts. It will also be the official training ground of Coventry’s Wasps Netball super-league team. 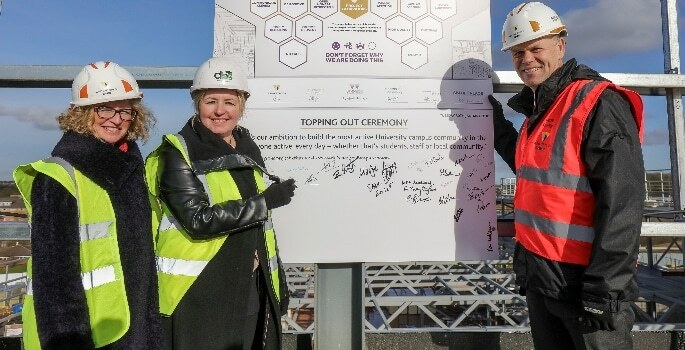 The University’s Director of Sport and Active Communities, Lisa Dodd-Mayne, said: “The Hub will mark a major step towards seeing the University of Warwick achieve its ambition to have the most active campus community in the UK.